I am not sure if this is not yet another Iso, the wheels look different from all the others. 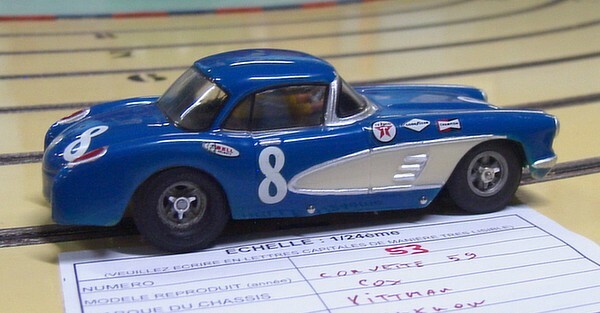 Nice Corvette, but vacform body and too low at the front again. I personally think vacforms should be banned from Bordeaux. At any rate, low profile tyres definitly should be. 1/24th. 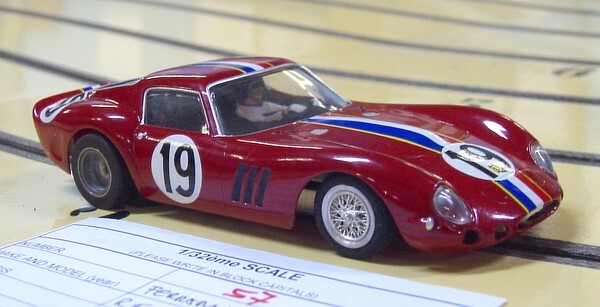 Yet another 250 GTO with odd wheels. 1/24th. In my opinion, this is much better, still a vacform, I think, but big fat tyres of the correct profile.